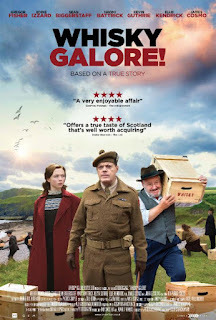 Los Angeles, CA - Arrow Films has announced the May 12th US theatrical release of Whisky Galore!, a star-studded remake of Alexander Mackendrick's 1949 classic comedy. Led by Emmy-winning comedian Eddie Izzard as Captain Wagget, Whisky Galore! also stars BAFTA winner Gregor Fisher ("Rab C. Nesbitt"), James Cosmo and Ellie Kendrick ("Game of Thrones"), Kevin Guthrie (Fantastic Beasts and Where to Find Them), Naomi Battrick ("Waterloo Road"), and Sean Biggerstaff (the Harry Potter series). Gillies Mackinnon directed from a script by award-winning writer Peter McDougall. Whisky Galore! will open in Los Angeles at the Laemmle Music Hall and in New York at Cinema Village on May 12th for weeklong runs. 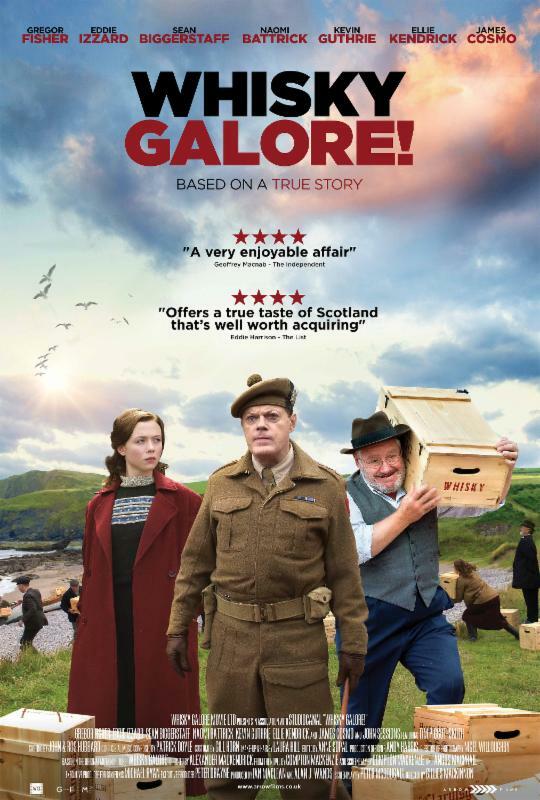 In 1943, the people of the isolated Scottish island of Todday are largely unaffected by wartime rationing, until their supply of whisky runs out. In the midst of this catastrophe, Sergeant Odd (Biggerstaff) returns on leave to court Peggy Macroon (Battrick), the daughter of the local shopkeeper (Fisher). 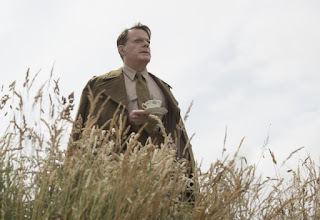 Meanwhile, her sister Catriona (Kendrick) has just become engaged to meek schoolteacher George Campbell (Guthrie), although his stern, domineering mother refuses to give her approval. During a storm, the freighter S.S. Cabinet Minister runs aground near Todday and begins to sink. Two local inhabitants investigate and learn from its departing crew that the cargo consists of 50,000 cases of whisky. A battle of wits ensues between the stuffy English commander Wagget (Izzard), who wants to confiscate the salvaged cargo, and the islanders.